"A handsome Swiss army knife of a jacket! This 3 in-1 affair delivers advanced technical performance, with the focus on insulation and protection. 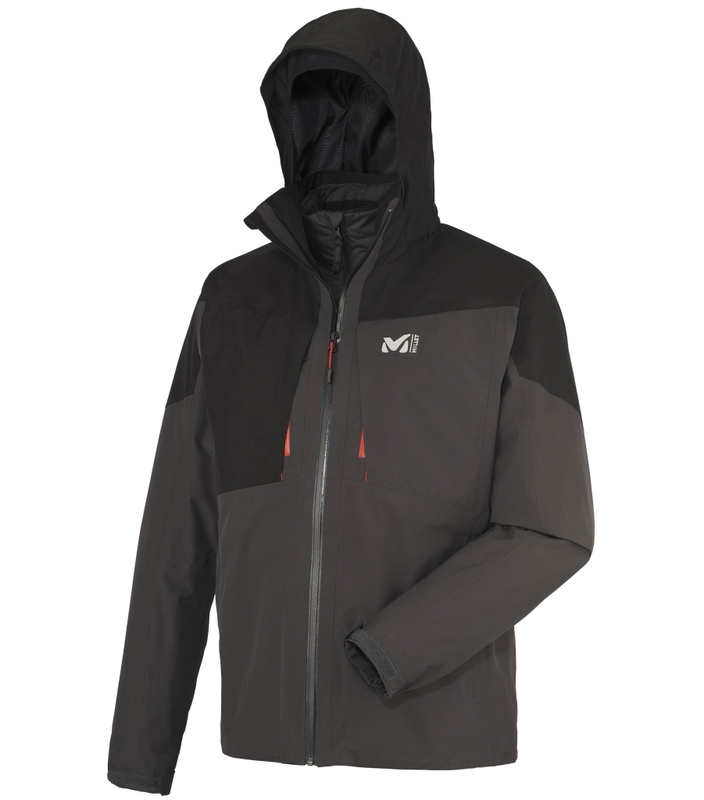 Offering Primaloft Black insulated warmth, this thermal jacket also has an original design. Tailored lycra hood, smartly-engineered vents all the parts of this highly capable hybrid product add up to a harmonious whole. Also of note: pleasantly flexible DryEdge fabric and a very protective cut.